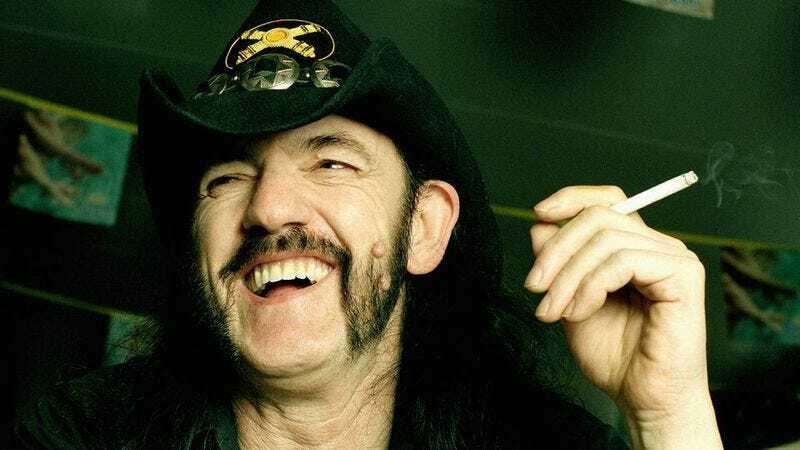 Iconic Motörhead frontman Lemmy died back in December, leaving the world significantly less badass in his absence, but a fan from England is trying to bring a small amount of that awesomeness back. The fan is named John Wright, and he has started a petition on Change.org to name one of four newly discovered “heavy metals” after Lemmy. His petition already has over 8,660 supporters, but getting a bunch of people to say they want one of these substances to be named after Lemmy is probably the easiest part of actually making it happen. As it turns out, scientists have developed a lot of specific rules about what kind of name you can give to something on the periodic table (including these so-called heavy metals). According to Quartz, the International Union Of Pure And Applied Chemistry lets whoever discovered an element pick its name, but it has to follow the established format of being named after a character or concept from mythology, an “astronomical object,” “a place or geographical region,” “a property of the element,” or “a scientist.” Lemmy doesn’t fit any of that, but Wright says he has named a star after him, so that might count if the IUPAC people are feeling especially kind. But, of course, those guidelines also mean that Wright has to convince the people who discovered this stuff to do this, and then they have to convince the IUPAC that it’s a good idea. Hopefully they’re big fans of sweet rock music, then.